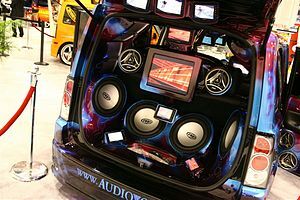 Car stereo aftermarket sales rose in 2010 for the first time in a long time, thanks in part to Internet radio. Twice magazine says that new technologies such as Internet radios are the stimulus behind the more than 11% increase in automotive audio aftermarket sales. There are several new technologies that have consumers excited – in addition to Internet radio, younger demo car buyers want touchscreens that enable iPod/iTouch integration and Facebook connectivity. RAJAR, the official audience measurement service for radio in the UK, has recently released listening data from the 4th quarter of last year. Listening to Internet radio grew by 55% in the year between Q4 2009 and Q4 2010, crossing over the 3% of all radio listening share threshold for the first time. Listening to radio via other digital platforms is substantial as well – listening to digital audio broadcasting (DAB) in the UK has a 25 % share of all listening. There has been a much more substantial effort in the UK to transition radio broadcasting and distribution to DAB – Digital One and BBC are the two main operators and over one-third of the population now lives in a household with a DAB receiver. At the same time, listening to all radio continues to grow in the UK. 46.7 million persons 15+ listen to radio weekly, which translates to 90.5% of that population. That’s up by almost 750,000 listening or 1.7% from a year ago. There’s a lot that is different about radio listening in the UK, so it’s difficult to make comparisons to US listening. 55% of all listening is to BBC Radio, which is government funded. 42.5% of listening is to Commercial Radio. Audience measurement is funded jointly by the BBC and the Commercial sector and the data is available online for everyone to see (here). It’s interesting to note that digital listening is driving overall listening UP overall. One could infer that listeners are more satisfied with additional platform offerings and are spending more time with the medium..
Last month Apple announced that the ten billionth app had been downloaded from the app store. Apple’s app store is a huge success that has revolutionized the way people use mobile devices, and the way online companies do business. Now every major mobile OS manufacturer has an app store, and Gartner recently predicted that 17.7 apps will be downloaded this year alone. 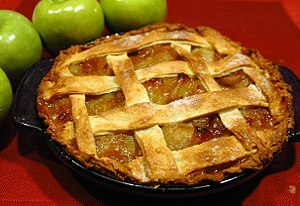 So it’s hardly a surprise that Apple wants a slice of the pie. They’ve announced big changes with regard to their app store that include, as the most controversial, their taking a 30% cut of all subscriptions that they drive to a company through their app store. Along with that, they are implementing changes in the platform that will make it much easier for mobile app customers to purchase apps from the store with one click. So, enhancements for the seller, enhancements for the buyer, and a cut for Apple. Of course, the companies that had been enjoying lots and lots of app sales through the Apple app store without any rev share are not at all pleased. Rhapsody, as a subscription based on demand platform, was downright pissed off, calling Apple’s 30% share “untenable”, and adding that Google’s rumored-to-be-coming-soon 10% rev share was more reasonable. So, the app party is kind of over, or at least the open bar has closed. I’m just not sure that it’s unreasonable that Apple wants a cut, a pretty big cut, of the money everyone is making off of their platform. If the improvements are so good that it’s as easy to subscribe as it is to download a free app I think companies will benefit. The problem now is that disappearing from the app store would be like cutting off a lifeline. Which may be the indication that Apple has earned a slice..
Last is not the first (get it?) service to head in this direction – many other services offer ad-free versions of their sites for a small subscription fee. Pandora One, Pandora‘s ad-free version, costs $3 a month as well – although they do offer a free version that is available with mobile devices. It’s working out okay for them – as we saw in Pandora’s recent SEC filing, they have managed to convert a small percentage of their large user base to paying customers, and generated 13.6% of their revenues in the first 3 quarters of last year from subscriptions. Other services are working the subscription model as well – MOG, rdio, and Rhapsody, who offers unlimited streaming for $10 a month along with the ability to transfer playlists to a device for offline listening. The Pew Internet and American Life Project reports that 33% of Internet users said they had paid for digital music online – which presumably includes downloads as well as access to premium streamed content. Digital music topped the list of items consumers were most likely to pay for. Streaming music services have struggled to develop successful business models. CBSRadio, which owns Last.fm, no doubt decided that profitability or the pursuit of that is important enough to implement some changes that will no doubt impact the size of their audience. Can they leverage their brand and audience into a decent size subscriber base? Some early indicators say they just may be able to. I have a business card from Jessica Stoner Steel, EVP of Biz Dev at Pandora, that she gave me when we first met, sometime in the early 2000s. The card doesn’t say Pandora, it says Savage Beast Technologies, powered by the Music Genome Project. That was before the site was live, and before any of us had ever heard of Pandora. As far as I know, Jessica was one of Pandora’s very earliest employees. Now Pandora has 275 employees, and has taken the lead position in Internet radio in the US. Of the top measured sites and stations in the US, they can claim a 50% share of listening. The SEC filing says that they changed their name to Pandora in May 2005. It’s taken less than six years for Westergren and his team to build a brand and execute a vision, and they have done it very very well. I remember that early conversation with Jessica Stoner (Steel). She was firm in her belief that what they were doing – it wasn’t live and she wasn’t revealing much – was revolutionary. Good for artists and listeners. Better than what anyone else was offering. In fact, her confidence seemed to me at the time to be a little cocky. But I never forgot the conversation. I think the one thing that Westergren and his team have had from the very beginning was a vision. A dream. A conviction. That their Music Genome Project would revolutionize listening and satisfy artists and listeners. Really, the biggest thing that Pandora has had going for it from the beginning was Tim Westergren and his passion. He started traveling around the country holding town hall meetings to connect with listeners. Preach his vision. Build his brand. And he did it with genuine passion and dedication to both sides, the artists and the audience. Pandora is an epidemic, in the very best, Tipping Point kind of way. And if the past five or six years is any indication, Pandora’s IPO will be a success. By now you’ve probably heard that Pandora has moved to go public. On friday afternoon they filed a registration statement with the Securities and Exchange Commission of their intention to sell shares via an IPO as soon as possible after the filing. They seek to raise $100,000,000. The document they filed is full of great info about their business and their strategy. Pandora has 80 million registered users. Listening on mobile devices is higher than on computers. According to AndoMedia’s ranking of the top 20 stations or networks in the US they have more than a 50% share. Perhaps they should have added the caveat that not all stations or networks are measured by Ando’s service, however they do list their reliance on third party measurement services as one of their risks. In the first nine months or 3 quarters of last year their revenue was slightly more than $90 million, $78 million of that was ad sales and the remainder was subscription. The ad revenue number includes more than $6.6 million in ads they run as part of the Google ad network. A daunting 60% of those dollars are paid out in royalties which they call “content acquisition”. Pandora was not profitable last year based on income and expenses for the first 3 quarters. In the fiscal year ending January 2010 they lost $16.8 million. Westergren owns 2.4% of the company he founded by maxxing out credit card after credit card back in the early 2000s. CEO Joe Kennedy has 2.7%. Hill Holiday, an ad agency in Boston, recently conducted an experiment to learn how people watch television and how connected television options fit into those patterns. To do that, they chose five families randomly from a group of volunteers, disconnected their cable boxes for a week and hooked them up with devices that enable tv/video watching over the Internet: Roku, Apple TV, Google TV, XBox360, and Boxee. The results are very insightful, mainly demonstrating that television watching is mostly a “lean-back” or passive experience which is better suited to a cable or “always on” delivery of television than the kind of on-demand experience that any Internet tv experience can be at this point. The families, when interviewed about their week, said things like “I don’t want to have to think about it”. They pointed out that television watching is a passive experience, but the Internet tv devices required active search and selection on their part. All of them wanted their cable back. This is an excellent, highly insightful study of traditional versus new delivery and consumption options for television, and I think it’s got a lot to say beyond tv to other forms of content as well. The studiers at Hill Holiday found that when the number of options available increased, the amount of consumption or time spent watching decreased. Because it was more effort. Think about Pandora – one of the things that makes it so appealing is that it’s basically plug and play. You tell them what you like, they play it. The participants in the study also pointed out that the lack of ability to search multiple services at once for programming was a hindrance – something that not just online tv, but also online radio should think about. Portals that enable the consumer to scan all the content will grow consumption. Music consumption is increasing, and this heat map clearly shows where and who has the traffic. In case you thought Pandora was the big boy, let the visual speak for itself – the real elephant in the room is YouTube. 31% of all videos on that site are music now, and it’s the number one music consumption destination on the web – at least according to this info based on data from Compete. ITunes is not web based and therefore does not qualify for this comparison. Grooveshark, which has been growing audience faster than its been obtaining licenses from big labels, grew traffic 236% in 2010. By comparison, Pandora grew only 116%. Shoutcast grew 180%. AOL Music, Last.fm, Slacker and MOG all grew, as did rdio – by a whopping 3680%. But given that rdio just launched last year, that growth was from nothing to tiny, as the heat map reveals. Napster lost audience, but more surprising, so did Spotify. We7, the British startup with Peter Gabriel as one of its founding investors, is growing. There are a lot of other sites on the map that aren’t so much streaming music platforms as they are music download sites, or artist communities, or other types of music platforms. It’s the best snapshot I’ve seen so far of the way that streaming music platforms stack up globally. You can get a better picture, along with mouse over data on each site, and a growth chart, here.